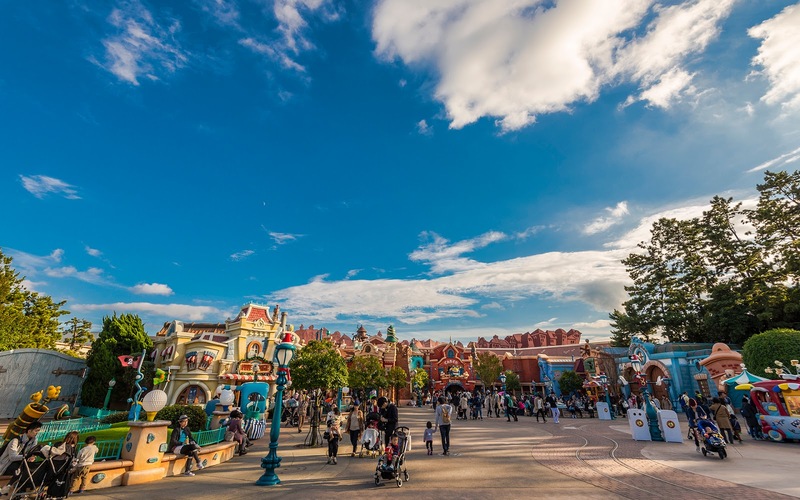 By random chance, the best skies I got during my first trip to Tokyo Disneyland a year and a half ago occurred during the afternoon, when I happened to be in the Toontown area. Although I did get a few dramatic sky photos from elsewhere in the park, most of them came from this immaculately maintained fun land devoted to the cartoons of Walt Disney. 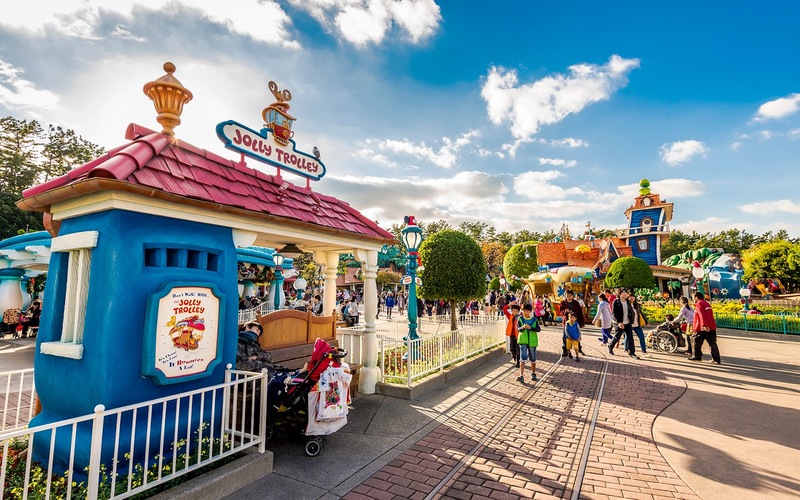 With the exception of a mirrored layout and a few building arrangement tweaks, Toontown in Tokyo is the same as Mickey's Toontown in California. But because it's Japan, it manages to just look so much better, almost as though it was still brand new. 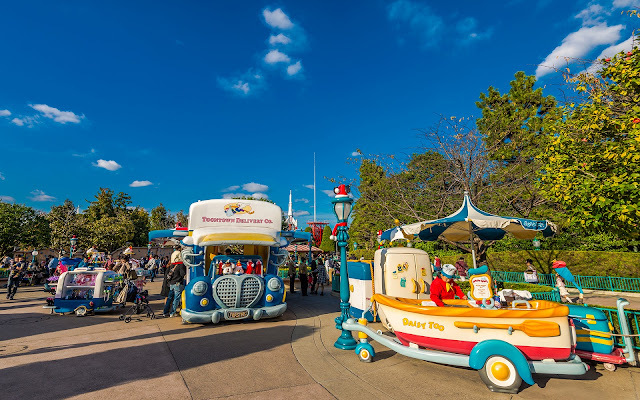 My opinion isn't clouded by those pretty skies (see what I did there? ), although I have to admit: they sure don't hurt.